« Happy 50th Birthday, Ocean! So far I’ve gotten twelve boxes, three plastic totes, and a large woven laundry basket in there… and I still have a few more items to squeeze in there. In addition, there’s the large canvas tote stuffed with clothes that gets strapped down to the cargo carrier on the roof. 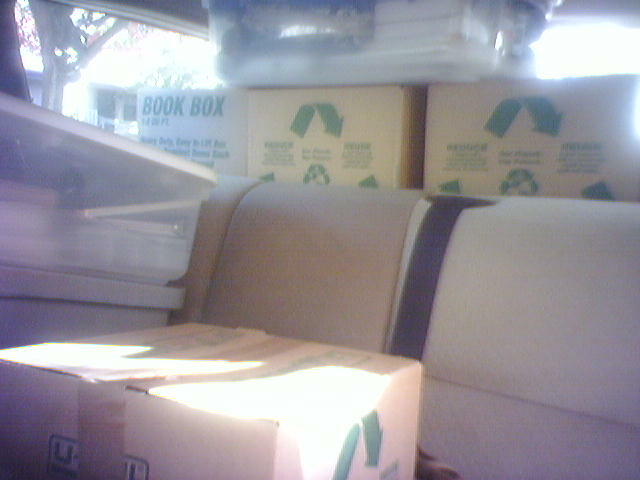 My life packed away in cardboard boxes. Granted, not everything is coming with me to California… I actually had to get rid of a lot of it. The furniture and some of my antiques got sold at auction, and a library of books sold to the local book buyer. Goodwill got a large donation of clothes and items. And there was plenty that found its way into the dumpster. Basically I’m making this move with only the bare essentials, and starting all over from scratch. But there’s still things coming with me that I can’t let go of. My collection of Pagan artwork (along with my more cherished Pagan books). My cast iron cookware, some of which I inherited from my grandparents. A couple of favorite pieces of my pottery… lovingly collected over the past 25 years. Grandmother Beach’s painting. Grandpa Wolzenski’s clock. Bits and pieces of my life memorialized in precious items worth far more in sentimentality than in dollars. The little things that make a house a home. They, as well as fifty years worth of memories, will be heading down the highway to the West Coast. I little extra tire pressure is a good idea. 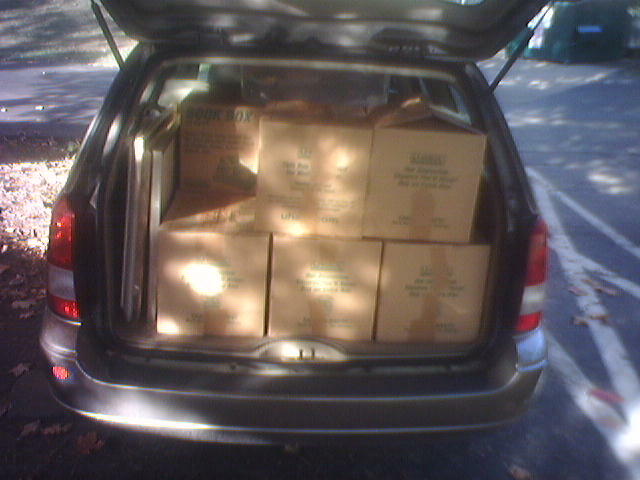 Can you see out your back window?